Our plan is to have a very well insulated boat as we were quite concerned about the cold when living aboard during winter. To achieve this I specified spray foam insulation on the ceiling and walls with foam insulated panels under the floor. In order to achieve a thermal shield there must be no gaps between any of the joints. All of this was explained to Ben Harp. We then specified a second layer of insulation. This product was a double sided aluminium foil with plastic bubble sandwich about 4mm thick. Well all of this was installed by Ben Harp, but it appear incorrectly. As you can see in the following photo a gap of about 4” has been left between the floor insulation and the spray foam on the wall. This would have become a cold seam almost negating the effect of the underfloor insulation. You might also note that the bilge is full of rubbish. This isn’t conducive to good airflow through the bilge. 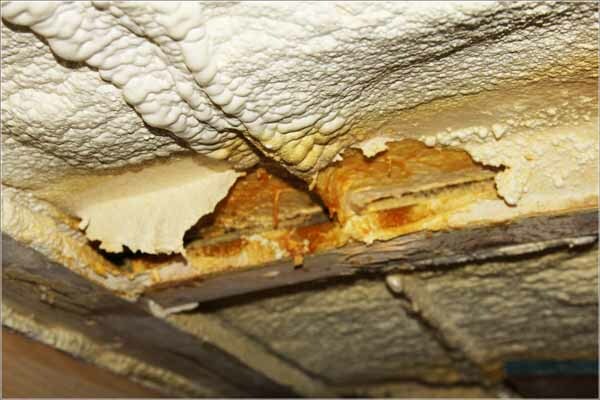 The spray foam has also been poorly applied in places. There are “blisters” in the foam. If the foam isn’t correctly applied to the steel an air gap (blister) can form creating a pocket between the foam and the steel. 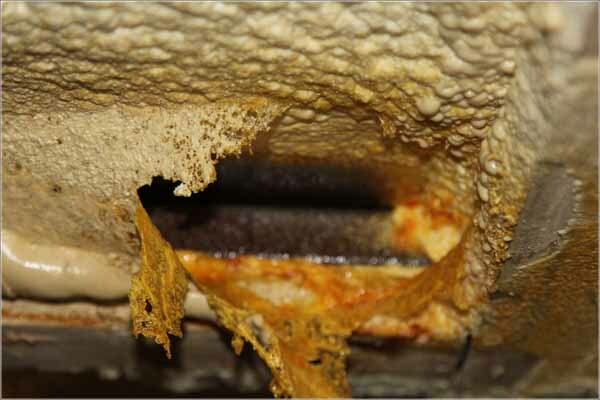 This creates a cold point inside the boat where condensation will form and eventually rust. We wouldn’t have noticed this because our plan was to have the secondary bubble foil insulation. However if the same has occurred with other Ben Harp boats then they may start to notice staining on their ply lining as the situation start to manifest itself. You can see rust has already started to form inside the “blister”! 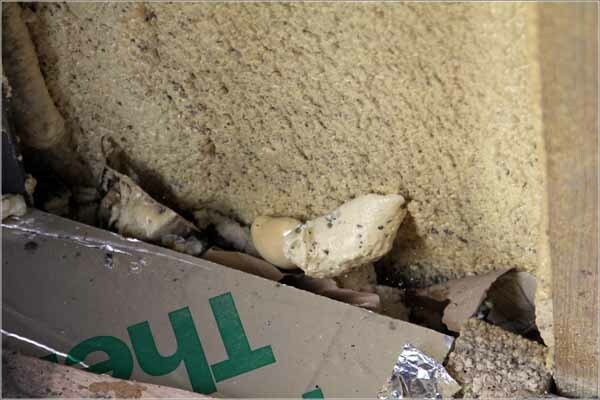 Our plan is to now check every inch of the spray insulation and scrap out any further blistered areas before treating and re-spraying them. We will then install the aluminium bubble foil to double seal the boat. I’ve been looking on the internet and found a competitive price <here> for the foil. Can I suggest that you look into using sheeps wool as your second layer of insulation like we have. It's wonderful stuff. We've used the foil you've mentioned to form a layer on the floor under the carpet in the bedroom. So it's the foil, then underlay, then the carpet like a sandwich. I'm only suggesting this because sheeps wool keeps a very warm layer between the spray foam & the wood on the wall. It's also supposed to be "breathable" which means even less condensation. Interesting, I will have to do some research into its properties.